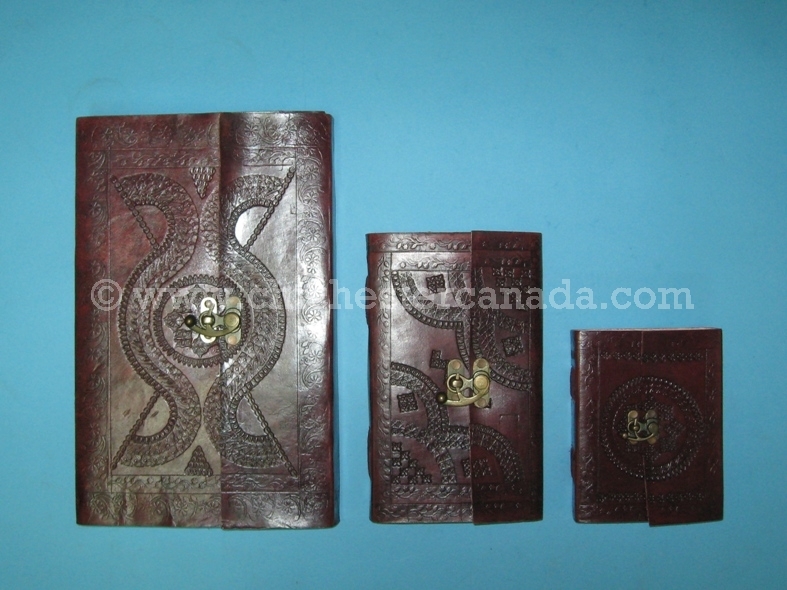 These journals are made in India in a fair trade environment. 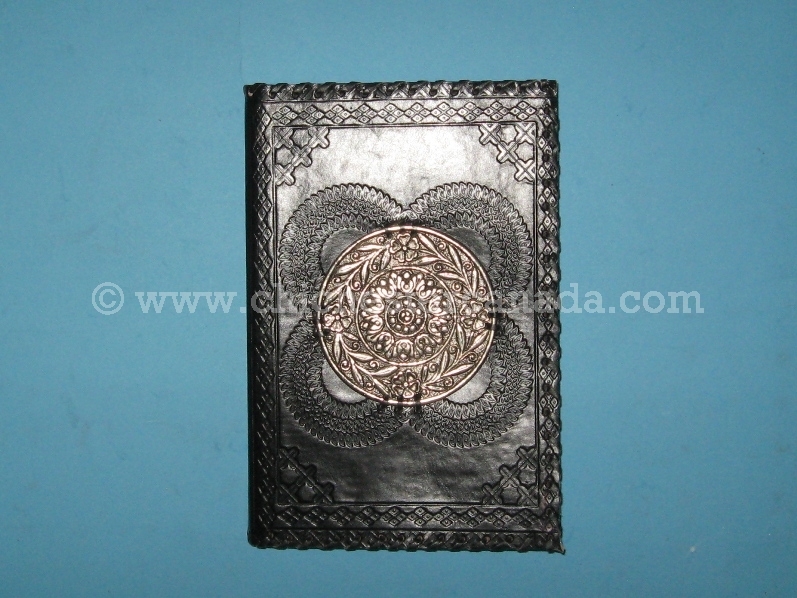 Each journal is hand tooled so that each piece is unique. 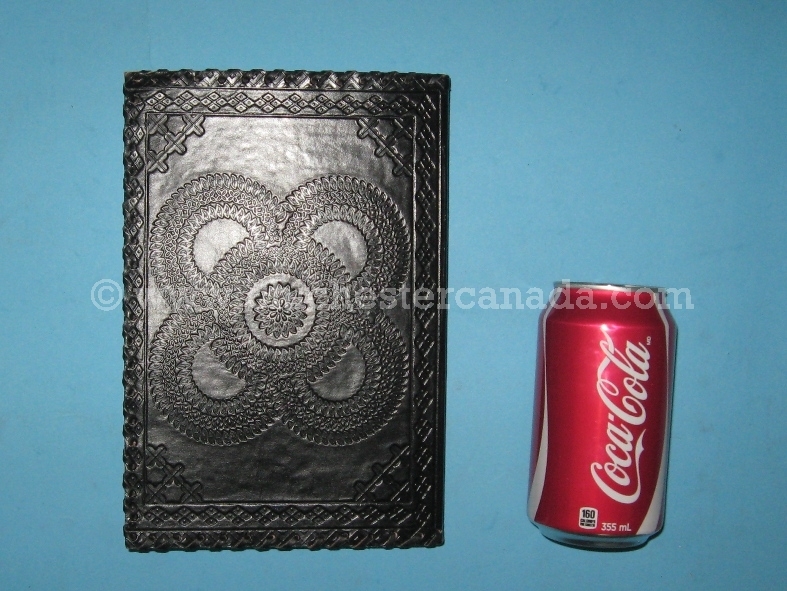 The paper is made from 100% recycled cotton. 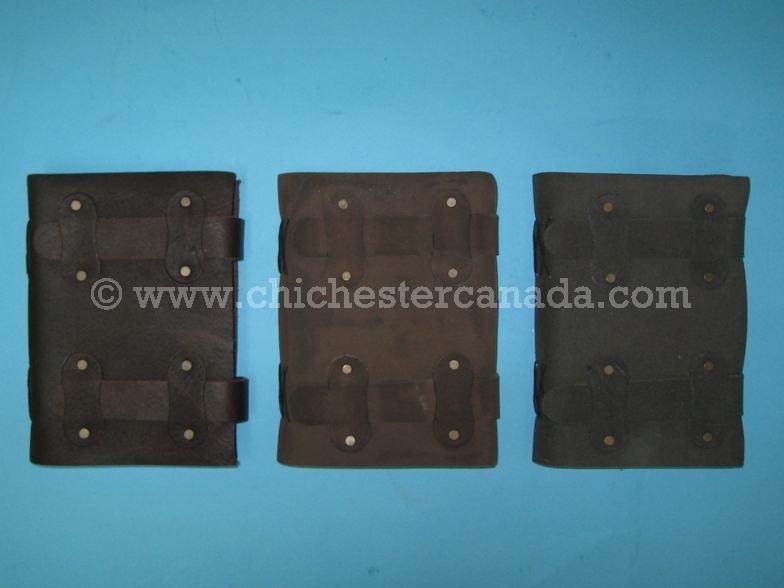 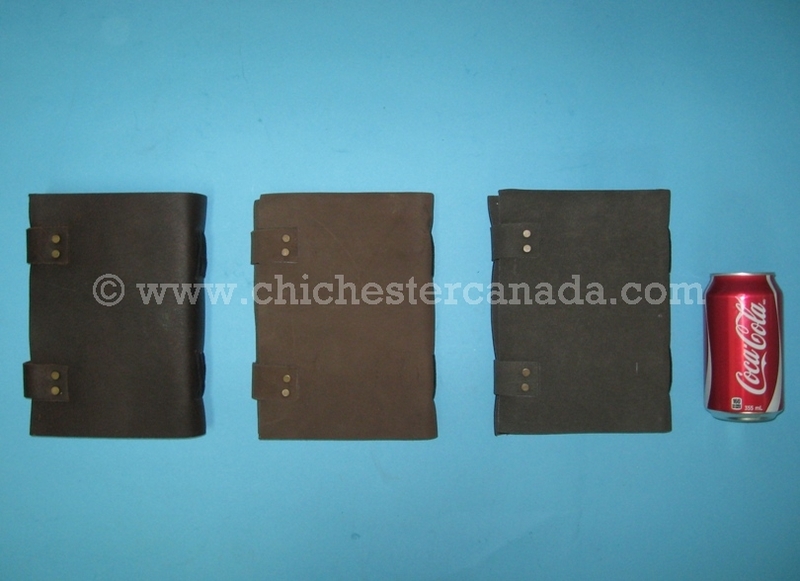 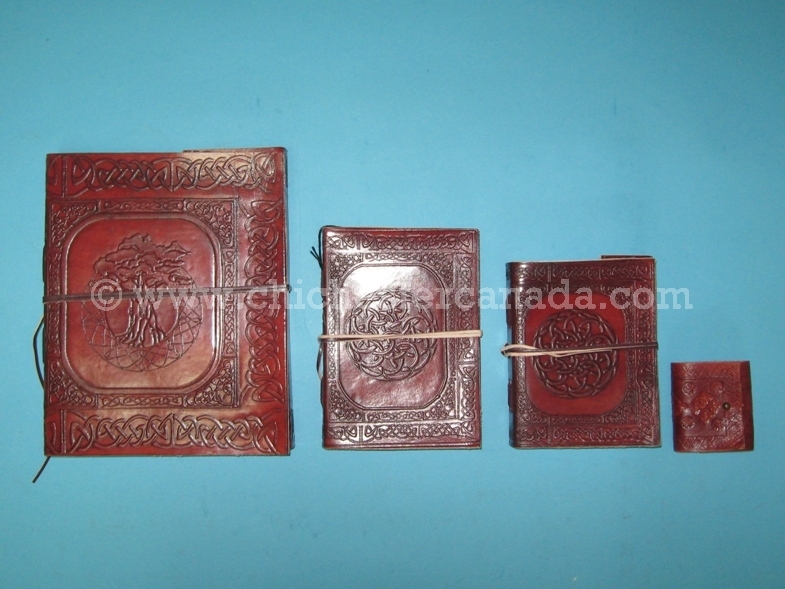 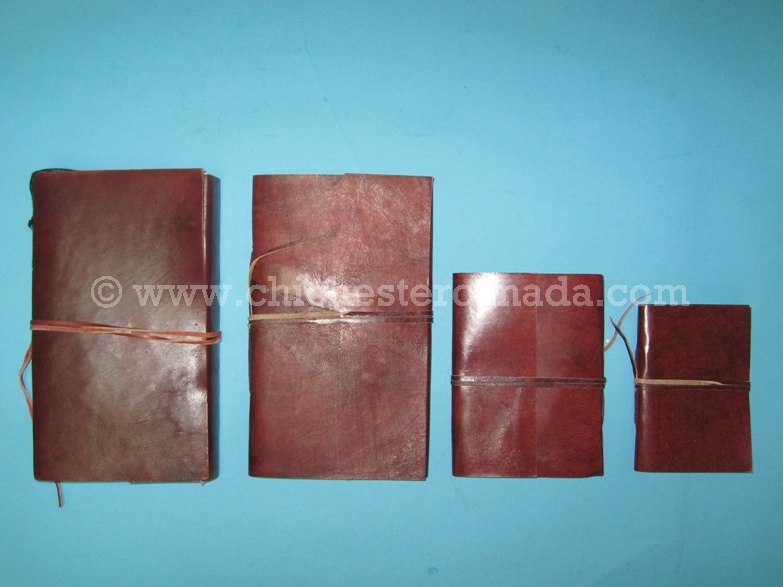 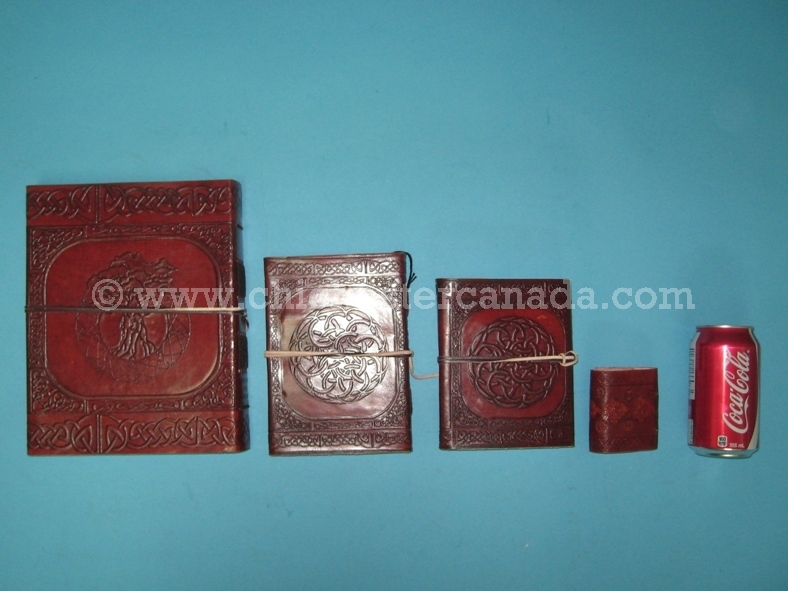 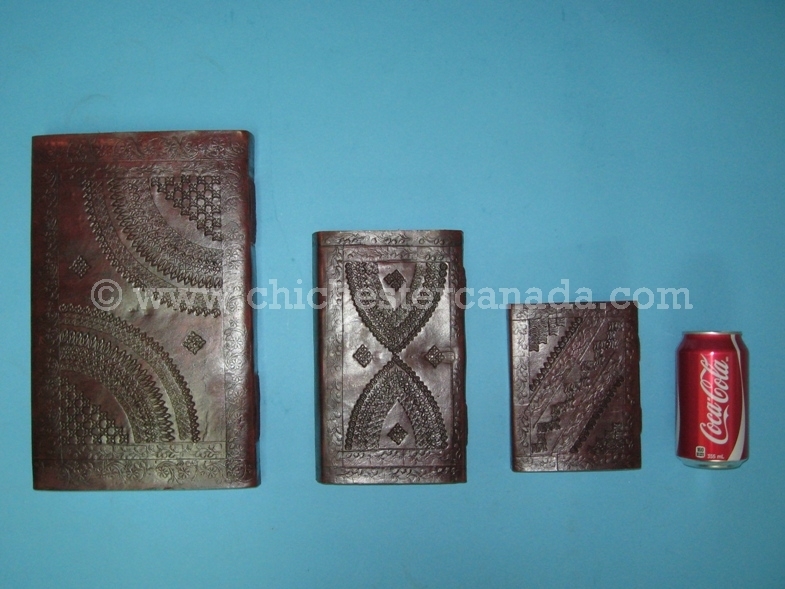 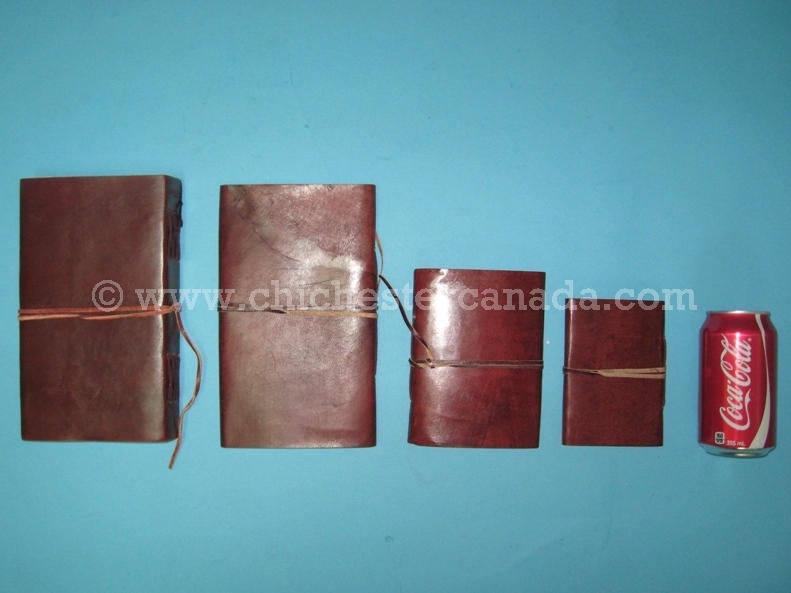 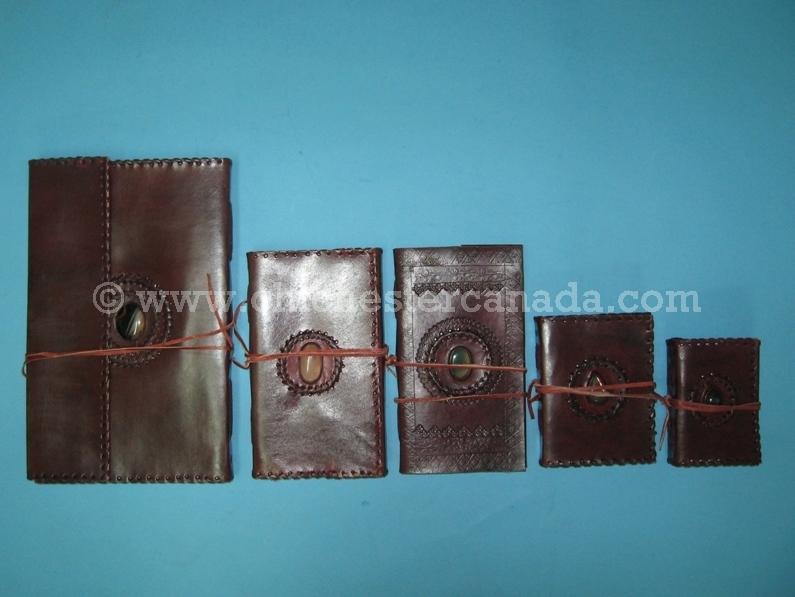 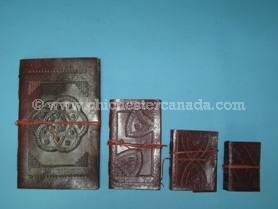 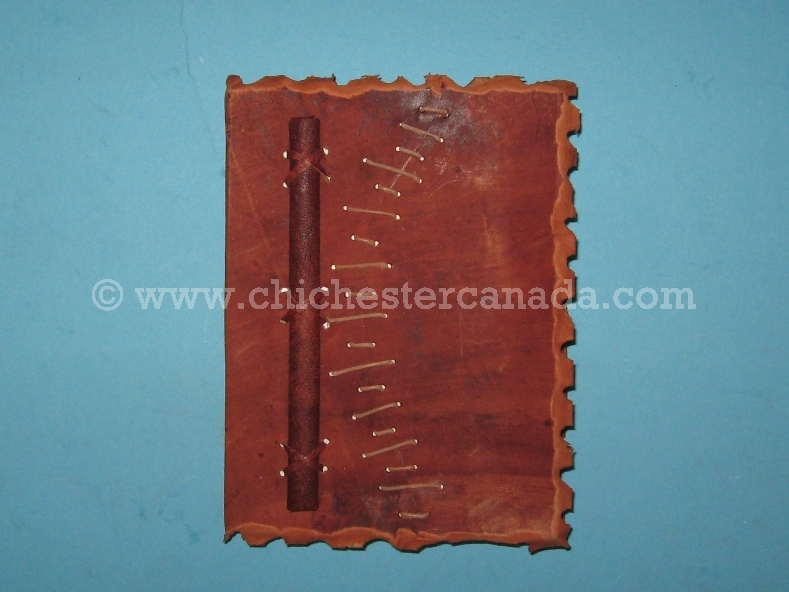 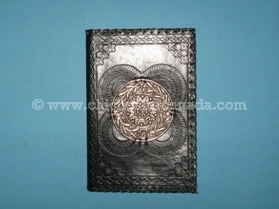 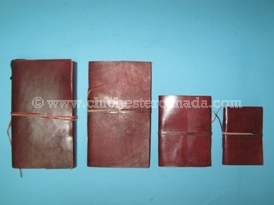 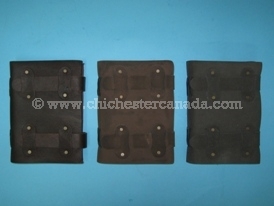 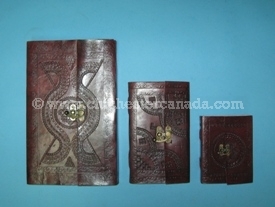 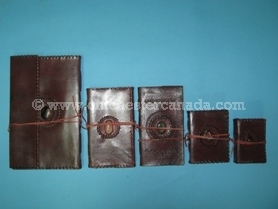 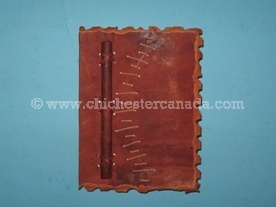 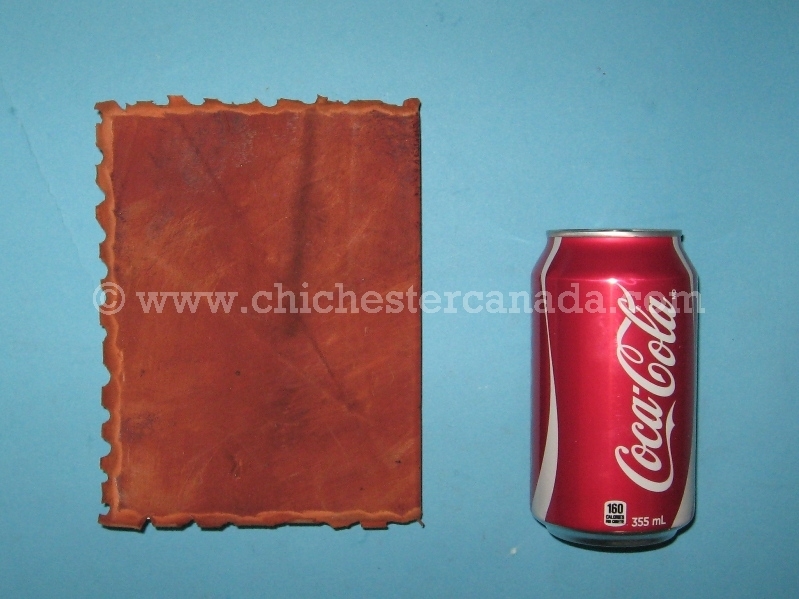 The covers are made using genuine leather. 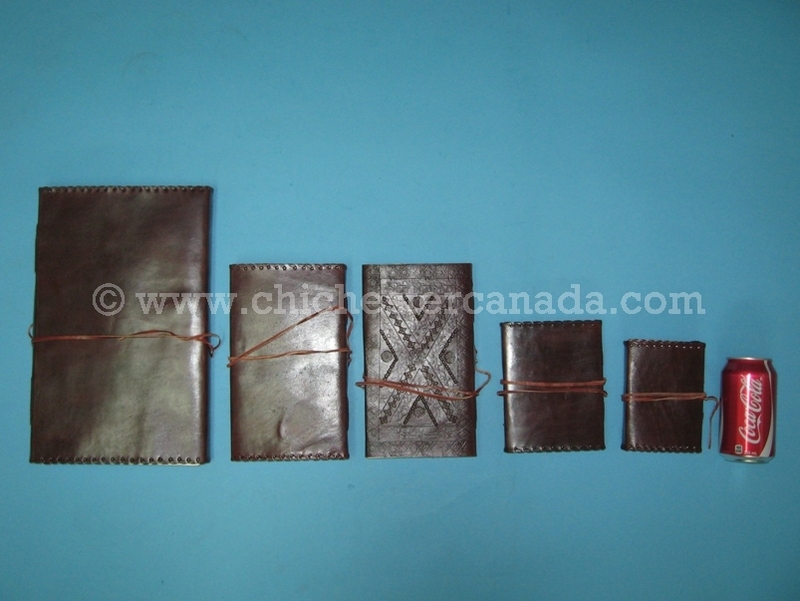 The natural dye can cause some color transfer in the beginning until the dye stabilizes. 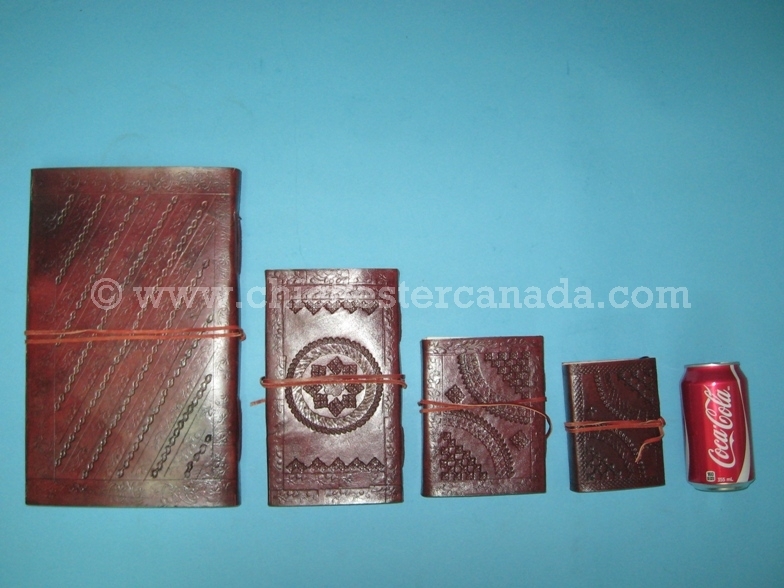 No harsh chemicals used in the production of these journals.